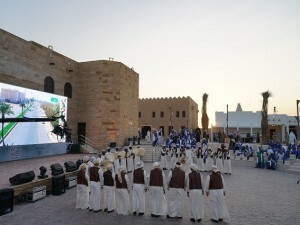 Tens of thousands of visitors have visited the National Festival of Heritage and Culture, the 33rd edition of Janadria, organised by the Ministry of National Guard under the slogan ‘Faithfulness and Loyalty.’ The heritage village at the festival as well as the shows of the folk groups from various regions of Saudi Arabia and some Arabian Gulf countries are popular and have become a milestone in the most beautiful elements of the tangible and intangible cultural heritage of the Kingdom of Saudi Arabia. Janadria is the largest cultural festival in Saudi Arabia and the largest event of its kind in the world that is being held for 21 days during the period from December 20, 2018 to January 9, 2019 as part of efforts to intensify attention to the Saudi heritage and regional and international visibility. In addition, it promotes a dialogue of cultures and civilisations between nations and people. The heritage village at Janadria is attracting thousands of families from different age groups, in addition to the artisans who are present throughout the festival area, especially in the folk market. The National Festival of Heritage and Culture offers heritage lovers a unique application which includes a complete definition of the Janadria Festival, a map of the stands and elements of the festival, activities and updated news about the festival on a daily basis. The folk groups programme is one of the most important pillars of the festival and there are more than 700 people that reflect the folk heritage, customs and traditions of all regions of Saudi Arabia and the GCC countries of the UAE, Bahrain and Oman. Oman Air has taken delivery of its second three-class Boeing 787-9 Dreamliner and expects to receive it next month. Besides, the national carrier of the Sultanate of Oman is anticipated to receive a total of nine more 737 MAX 8s within the next year. The three-class Dreamliner features eight First Class Private Suites, 24 Business Class seats and 232 Economy seats. Guests travelling aboard this aircraft in First Class can enjoy unparalleled levels of comfort with one of the longest 180 degrees flat-bed seats available on any commercial airliner. Fully enclosed, the suite has 55-inch extra tall doors to ensure complete privacy. The aircraft will be equipped with leading technology and the latest-in-comfort amenities, including cutting-edge entertainment to enhance the travel experience of their guests. All classes feature ‘Aria’, a new state-of-the-art Thales Integrated In-Flight Entertainment System designed exclusively for Oman Air featuring an immersive cinematic interface design, showcasing the latest in on-demand blockbuster movies, TV programmes and audio selections. Exclusively curated content is available for visitors to Oman, who look to experience the very best of Oman culture from the moment they step onboard. 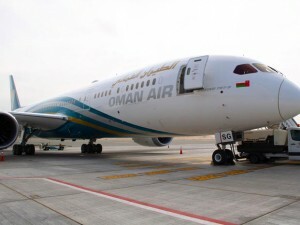 Following the launch of new routes to Istanbul and Casablanca in June and July this year respectively, Oman Air recently celebrated the launch of its new service to Moscow on October 30, and the resumption of the Maldives route on October 28. With the addition of new Dreamliner, Oman Air’s fleet consists of three Boeing 787-8, five 787-9 Dreamliners, six Airbus 330-300s, four Airbus 330-200s, five Boeing 737-900s, 21 Boeing 737-800s, four Embraer 175s and five 737 MAX. Following a period of extensive enhancements, Al Bustan Palace has reopened in Muscat. The Ritz-Carlton property includes redesigned rooms and suites, refreshed Ritz Kids experiences and new culinary options. A symbol of Omani culture and hospitality, the palace hotel offers new and inspiring experiences that bridge heritage with state-of-the-art technology and modern design. Commenting on the reopening of the hotel, HE Maitha bint Saif Al Mahrouqi, Undersecretary, Ministry of Tourism, Sultanate of Oman, said, “Oman continues to welcome record number of international visitors, thanks to our commitment to offering world-class experiences for the modern global traveller that honour and celebrate our beautiful natural surroundings, rich culture and history. The renovation of Al Bustan Palace supports this vision and we are confident that the hotel will continue to contribute to the Sultanate’s thriving tourism industry.” Royal Estates’ Royal Court Affairs in Oman carried out the design of most of the refurbishment works, while renowned luxury integrated design firm WATG and affiliated design studio Wimberly Interiors provided the other architecture and interior renovation under the supervision of the Royal Estates. Travelport has announced a new long-term technology partnership via its distributor in Oman, with Eihab Travels. Eihab Travels will use Travelport’s industry leading point of sale solution, Travelport Smartpoint, to provide corporate as well as leisure travel services to major multinational corporations, prominent Middle East firms and individuals. Aided by Travelport’s support, the company’s consultants will benefit from intelligent, fast and accurate search of high quality content from over 400 airlines, 650,000 hotel properties and 35,000 car rental locations. With over 250 airlines signed up to use Travelport’s unique merchandising technology, the company is able to display, gain powerful information around, and sell branded fare families and ancillary products (such as paid seat assignments, baggage fees, priority boarding, etc.) from these airlines. Having recently become the first global distribution system (GDS) to be certified by IATA as a “Level 3” Aggregator under its New Distribution Capability (NDC) initiative, Travelport will soon further benefit the company by creating NDC connections with airlines as they become available. 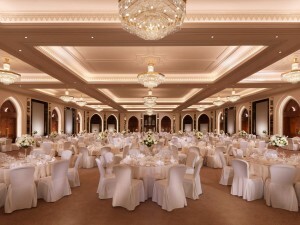 Located in the modern community of Al Mouj, Muscat, the five-star Kempinski Hotel Muscat is an unparalleled luxury destination in the capital of Oman. The hotel features 310 rooms and suites, state-of-the-art meetings and events facilities, world-class restaurants and bars, a fully equipped fitness centre and a luxury spa, allowing visitors to revel in the beauty of both the location and warm Omani hospitality. Serving as the gateway to authentic Omani adventure, visitors can experience the unbeatable mix of local traditions and world-class European luxury at the luxury hotel. Continuing its expansion in the GCC, Swiss-Belhotel International has entered into a management agreement with Al Salaam International Hotel to operate Swiss-Belinn Muscat in Oman. Expected to open in 2019, the three-star hotel enjoys an outstanding location in Seeb in close proximity to Muscat International Airport. Equipped with 120 standard rooms and 10 varieties of suites, Swiss-Belinn Muscat is being developed to offer its guests a comprehensive range of facilities including an all-day-dining restaurant, flexible meeting and conference venues, gym, Wi-Fi access and 24-hours room service. Given its fantastic location near the airport, the hotel will serve as the perfect abode for transit passengers looking for stop-overs and airline crews as well as corporate travellers on a short visit to Oman or those facing unexpected flight halts. The Ministry of Tourism has launched a new promotional website ‘www.experienceoman.om’ which will serve as a one-stop shop for all Oman Tourism related information. The website was launched under the patronage of His Highness Sayyid Haitham bin Tariq Al Said, Minister of Heritage and Culture during a gala dinner hosted on the sidelines of the 2nd UNWTO/UNESCO World Conference on Tourism and Culture. The launch of the website comes as a part of the Ministry’s initiatives to support the development of the tourism sector in all areas, especially in the use of electronic platforms and digital marketing. Providing insights into suggested travel itineraries, list of tour operators, hotels and services, MICE opportunities; the website also orients tourists with the latest events in Oman and can be viewed in six languages. 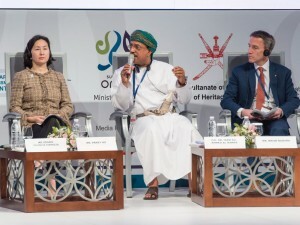 The website promotes the Sultanate as a unique tourism destination with distinct cultural, historical and natural components, and enables tourists to obtain the information they need to visit tourism attractions. ‘www.experienceoman.om’ will complement the existing ‘Oman Tourism’ website to provide comprehensive and diverse information regarding Oman tourism. InterContinental Hotels Group (IHG) and Oman Tourism Development Company (OMRAN) announced the opening of Crowne Plaza Oman Convention and Exhibition Centre in Muscat. The newly opened hotel will be the second Crowne Plaza in the capital and the fifth in Oman, demonstrating the increasing popularity of the brand in the Sultanate. 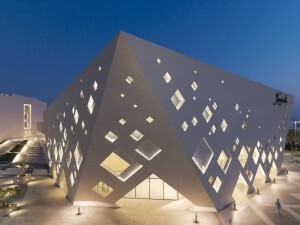 The 296-room hotel is located 10 minutes from the New Muscat International Airport and is a part of the Oman Convention and Exhibition Centre (OCEC) project. OCEC is Muscat’s state-of-the-art commercial hub for business and international events. This precinct is one of many innovative communities currently being developed that are designed to world-class standards in support of the Sultanate’s growing tourism sector. While guests will benefit from the centre’s 22,000m² of exhibition space, they will also enjoy overlooking a natural waterway and the surrounding parklands, a wadi, and a nature reserve. 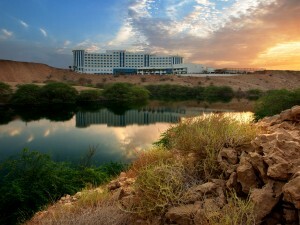 Crowne Plaza Oman Convention and Exhibition Centre also offers great facilities for a broad range of visitors including two pools, a children’s playground, a large fitness zone, three large meeting rooms and an independent function centre.